soundtrack of Headbud Productions - Whatever!? 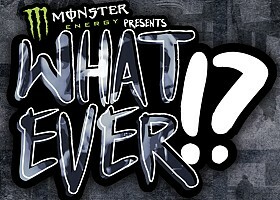 Monster Energy presents WHATEVER! ?, a film by Headbud Productions and the Pickings Fam. Freeskiing has grown a lot over the past years. The Progression seems to be unstopable. We will be an olympic sport with two different disciplines. This is great and opens a lot of doors for all of us. But whatever, we will never forget the ?free“ in freeskiing. For us it’s way more than just an olympic sport, it’s a lifestyle which we are all living. We have made a lot of good friends. We have had the freedom to do whatever we wanted to do. We wanna keep our roots and still don’t care about rules, party hard and have a good time while shredding with your friends. "Whatever!?" is pure skiing from the heart of the alps, filmed in HD for your viewing pleasure.